If you follow this blog you will already know that I travel, a lot. I do travel domestically, especially for work, but I also travel internationally multiple times per year, sometimes for work, sometimes for play. One consistent thread throughout all of my international travel is that I never, ever leave home without travel insurance. For years I have used Allianz Travel Insurance, but there are plenty of other companies to choose from. I just read this super comprehensive article about travel insurance on SmarterTravel.com. If you are even thinking about taking a big trip, be it overseas or domestic, you should read this, and bookmark it for later reference. Trip cancellation and trip interruption insurance (TCI) covers the financial risks of (1) losing some or all of the value of prepayments and deposits if you have to cancel a trip due to sickness, accident, or a variety of other reasons, and (2) the extra costs of interrupting a trip and returning home early for those reasons. It generally applies both if something happens to you and if something happens to a traveling companion or a close relative who remains at home. Medical travel insurance includes coverage for doctor payments, hospitalization, and emergency transport to a medical facility if you suffer an accident or illness while traveling. Rental car collision insurance covers the cost of paying the rental company for damage to a rented car while it’s in your custody. Other travel risks, although annoying, are generally trivial compared with those. And although many travel insurance policies cover them, you shouldn’t pay a lot extra to buy coverage. 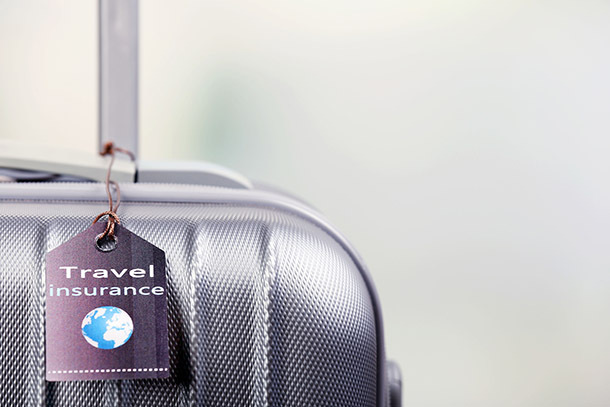 Although causes and payments for most forms of insurance are fairly obvious, the fine print of travel insurance contains numerous gotchas that can cause a lot of problems. Insurance companies pay experts to figure out ways to deny coverage, so if you don’t address the gotchas while planning a trip, coverage you thought you purchased may evaporate. In insurance jargon, “named peril” simply means that if a risk is not specifically mentioned in an insurance policy’s fine print (usually as a “covered reason”), it isn’t covered. Terrorism? With many policies, you can cancel or return early only if an overt “terrorist act” occurs in your destination, not if there’s unrest in the general area. If your tour operator defaults, you’re covered if the policy includes “default” as a covered reason. But when a policy says “bankruptcy,” you probably aren’t covered if the operator just folds without ever formally filing for bankruptcy. And most work-related cancellations are not included. The best way to avoid running into a problem with uncertainties about covered reasons is to buy “cancel for any reason” TCI. It’s usually more expensive than conventional insurance, it may not pay in full, and the option may expire a few days before scheduled departure, but it means that you, not an insurance company bean-counter, get to decide whether to cancel a trip. TCI is useful only if you have deposits and prepayments that are subject to forfeiture or large penalties if you have to cancel. If your arrangements are refundable, forget TCI. Medical coverage purchased as travel insurance may be redundant with coverage you already have. Many year-round health insurance programs include doctor and hospital coverage while traveling, and many HMOs will reimburse medical expenses you incur in places where your HMO services are not available. Although Medicare does not nominally provide coverage outside the U.S., supplement plans C, D, F, G, M, and N include a foreign travel benefit good for 80 percent of “emergency care” expenses, subject to a deductible of $250 per year and a lifetime cap of $50,000. This benefit is probably insufficient for many traveling seniors. Because most travel medical insurance is secondary, it pays only what you can’t first recover from your regular health program. So if you face an expense while traveling, typically you must pay it up front and make a claim for reimbursement against your regular program when you get home. If you want to avoid having to make a big payment, several companies sell primary medical coverage: To settle a bill, just notify the insurance carrier and it will take care of the payment. One risk that your regular health insurance may not cover adequately is emergency transport to a hospital, and even many low-end medical insurance policies cover transport only to the nearest adequate medical facility. A few programs guarantee emergency transport back to your home area even if it requires a private jet. Overall, the biggest problem with the medical component of travel insurance is handling pre-existing medical conditions. That’s a big bone of contention in health insurance programs generally, not just travel, but it certainly applies to travel. If you so much as see a doctor—or maybe even just take an aspirin—some policies will call that treatment for a pre-existing condition and exclude payment. And the meter drops for pre-existing conditions as much as six months prior to departure. A majority of policies waive the exclusion for pre-existing conditions, provided you insure to the full value of your prepayments and buy the insurance within a specified period of time after you make your first payment or deposit, typically one to two weeks though sometimes longer on a few policies. But even a waiver doesn’t get you off the hook completely. Most policies do not cover even a “covered reason” that is “foreseeable” at the time you buy the insurance. RELATED: Will Travel Insurance Cover Pre-Existing Conditions? Your own auto collision coverage may include rental cars, at least within the U.S.
By now, probably most credit cards include no-cost collision coverage, but it’s almost always secondary, meaning it pays only what you can’t first claim on your regular auto policy. Overseas, however, credit-card coverage becomes de facto primary. You can buy specialized primary collision coverage from a third-party source, either as a component of a travel insurance bundle or as a separate transaction, for as little as $8 a day. If you don’t want to risk a claim against your regular policy, third-party collision insurance is a good idea. But with anything other than the rental company’s overpriced waiver, you have to pay for the expected damage up front and afterward claim reimbursement. If you prefer to just walk away from the problem, your only option is the rental company’s overpriced waiver. Most travel insurance, either TCI or medical, is priced based on your age. Although young and middle aged travelers, say in their 40s, can usually buy a low-end policy for about 5 percent of total trip cost, seniors over 75 pay about double and seniors over 85 pay triple or more. Those rates may well be justified in terms of actuarial risk. But it gives older seniors a tough choice. Coverage can expire a day or two before departure, compared with the usual right-up-to-departure coverage of regular insurance. Waivers typically do not include a trip-interruption component. The payoff may be in terms of vouchers for future cruises or tours rather than cash. Waivers may not provide relief from the exclusion of pre-existing conditions. Unless waivers are much less expensive, regular insurance is usually a better choice than a waiver. But waivers are often not age-rated, so they may be the best option for seniors. If you’re relying on TCI or medical insurance to arrange hospitalization or emergency return home, you have to follow the rules about contacting an insurance company representative to make arrangements. If you “freelance” your return home by arranging your own airline flight, for example, or go to an unauthorized hospital, the insurance company can deny your claim. Does following the rules involve more hassle? Undoubtedly. But that’s the only way you can be sure to have your bills covered. “Gold plated” policies include a small payout for relatively trivial unexpected costs such as lost or delayed baggage, expenses during a delay, and so forth. Having insurance coverage for these low-dollar risks can be nice, but it isn’t worth paying a lot extra. Moreover, many credit cards include a handful of these relatively trivial benefits—be sure to check your card. TCI is almost always sold as part of a “bundle” that includes medical coverage and some small stuff. Medical, on the other hand, is available separately by the trip; frequent travelers can buy it by the year. These days, whether you buy online or through a retail travel agency, before you’ve finished the buying process, you’ll probably see an offer to buy insurance, typically a bundle that includes at least TCI and medical. Even though just clicking that “accept” button is easy, it may not be your best choice. Instead, you’re likely to find some combination of better coverage or a lower price by checking with one or more of the agencies that specialize in travel insurance. All have menu-driven websites that let you enter exactly what insurance you need and then display policies and prices from all the major agencies that offer what you want. Life insurance doesn’t prevent you from dying, and travel insurance doesn’t prevent travel problems. Insurance is about money, not the experience. Yes, this may be an obvious “well, duh” observation, but you’d be surprised about how many travelers seem to forget this basic fact. Adequate insurance will make sure you don’t lose prepayments and deposits when something goes seriously wrong and that unexpected medical and transport bills will be paid. But insurance will not pay for or even arrange substitute flights, tours, cruises, or accommodations that you might need to rescue your vacation. Even with refunds, a serious problem may well cost you a lot of money to fix. And that risk is on you, not an insurance policy.